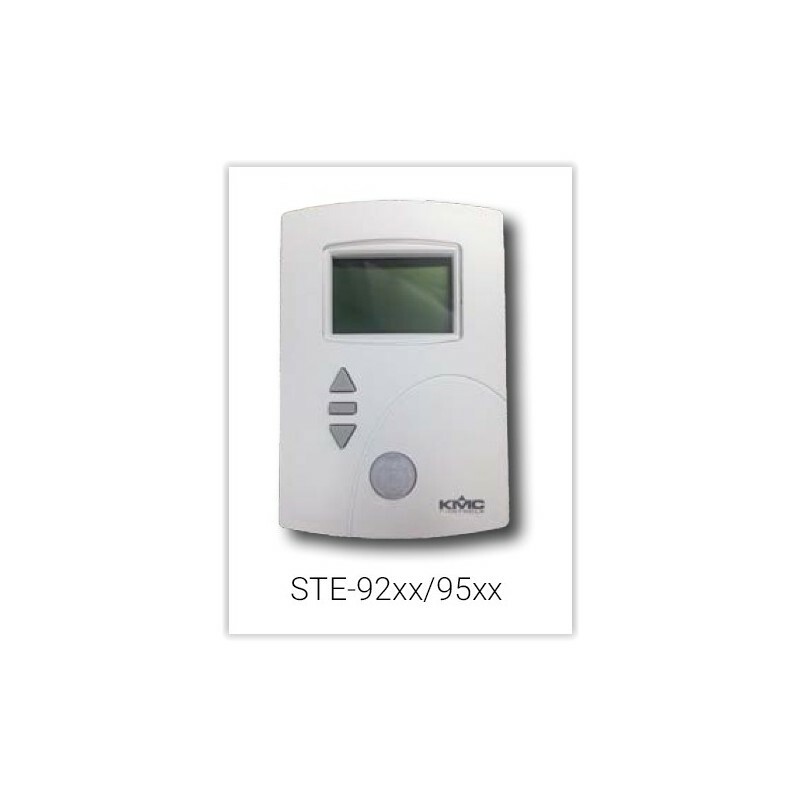 STE-9501: This NetSensor is a wall-mounted digital room temperature sensor with CO2 and occupancy sensors. 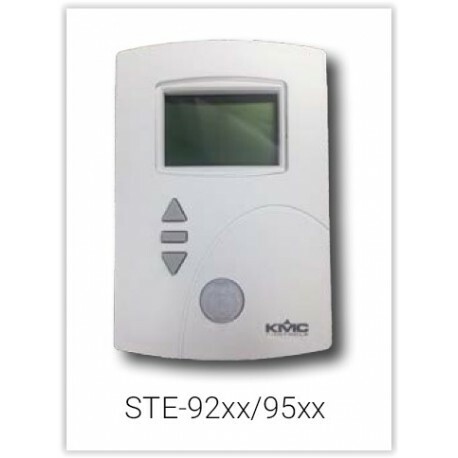 Use with BAC-5900/9000/9300 KMC Controls. 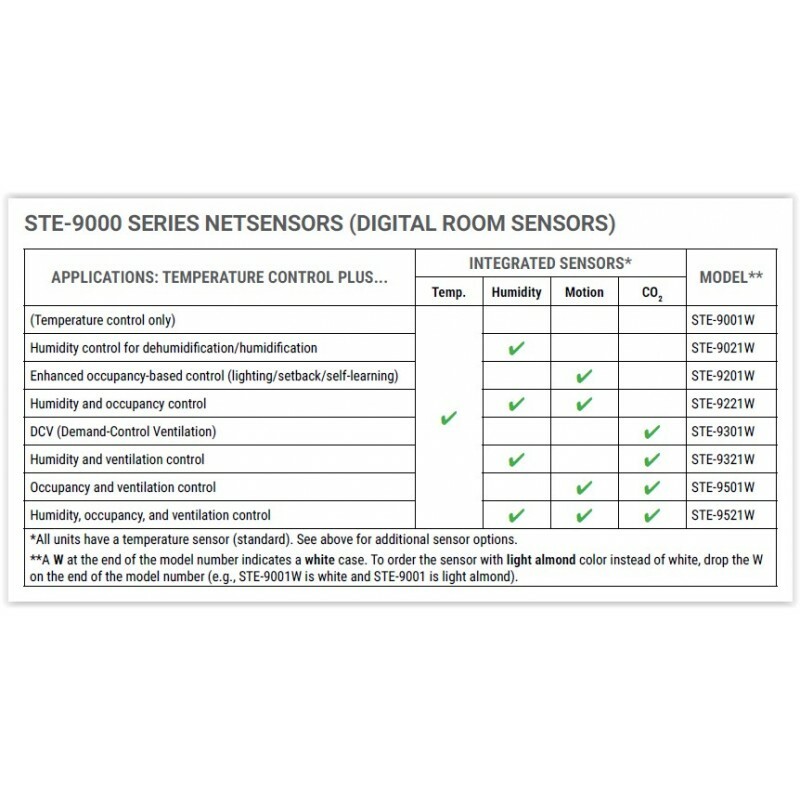 Up to four sensors in a single package.